Here is a great persuasive writing graphic organizer for children to show what their opinion is. Topics for a worksheet could be: Why is our school the best school? My opinion of the best food, best place to live, best season, most important job. 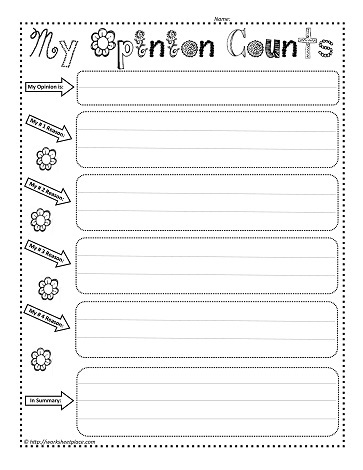 Provide students with a copy of the my opinion worksheet and let them convince you.